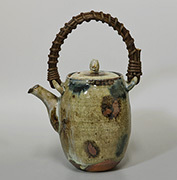 Artistic Focus showcases innovative artists who have caught our attention with their creative, expressive works. 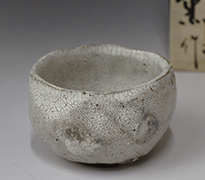 Born in Kagoshima and educated in Kobe, Kimata Kaoru's entry into the world of ceramics started with her apprenticeship to the craftsman Okamoto Sakurei at Sakurei kiln in Karatsu. 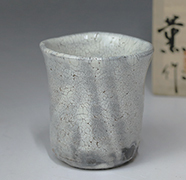 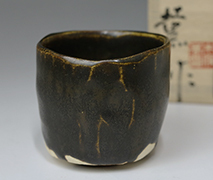 Now producing at her own climbing kiln high in the mountains of Hyogo prefecture, Kimata's works display the age-old characteristics inherent in Karatsu ware, infused with her own creative spirit. 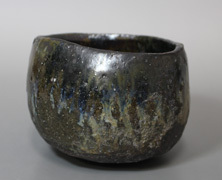 "Movement within stability" is one way to describe her atmospheric pieces. 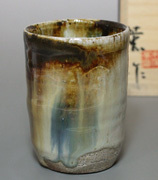 The pieces are fired at a very high temperature, allowing the glaze to run freely, right to its ultimate limit. 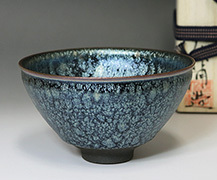 The path of the glaze over the quiet, natural background results in a feeling of energy which is refreshing and soothing at the same time. 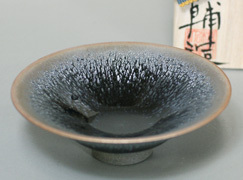 Such a dynamic technique is difficult to execute and has its risks, but the finished effect makes the effort very worthwhile. 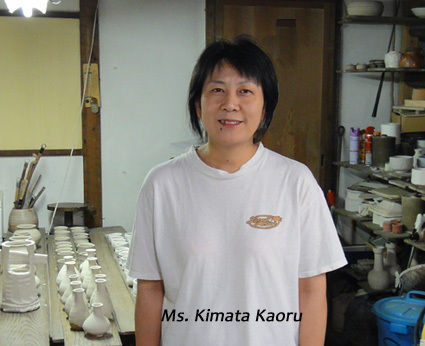 Particularity, patience and passion - Kimata Kaoru talks about her commitment to creating unique Muji Karatsu pieces. 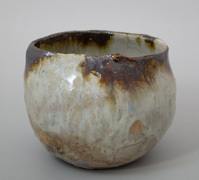 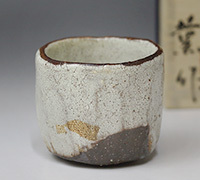 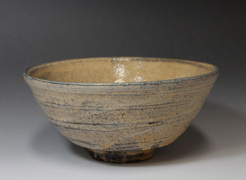 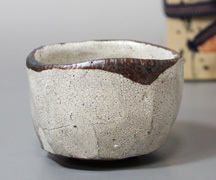 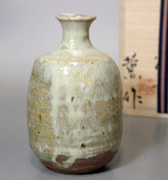 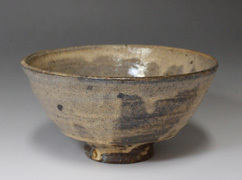 Hashimoto Daisuke is a promising young potter who was born in 1972, in Kyoto, Japan. 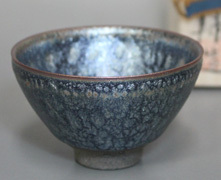 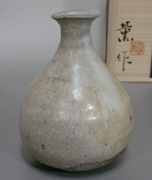 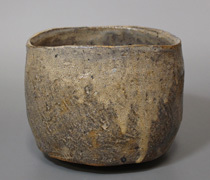 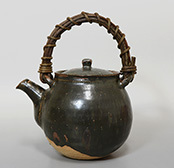 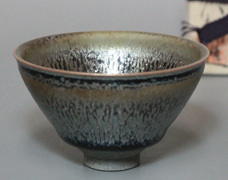 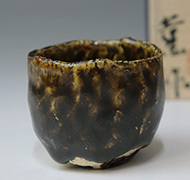 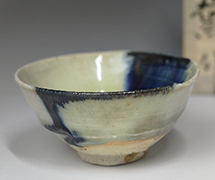 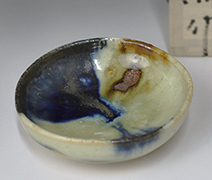 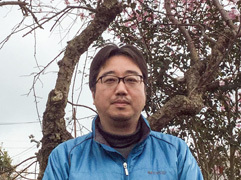 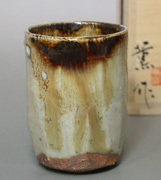 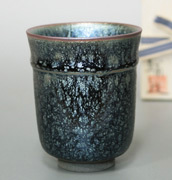 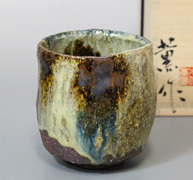 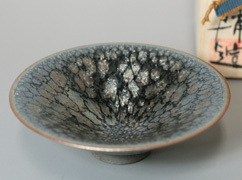 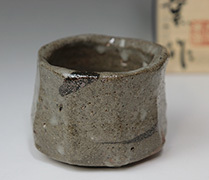 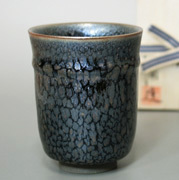 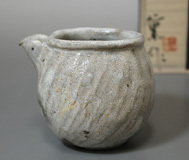 He works from his own kiln in Otsu city, Shiga prefecture, producing original pieces to a high standard. 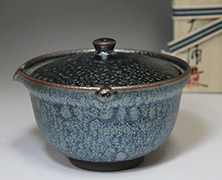 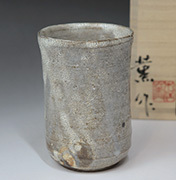 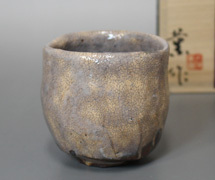 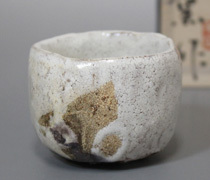 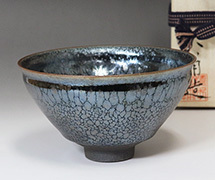 He specializes in Tenmoku items which are offered at an affordable price due to his young age. 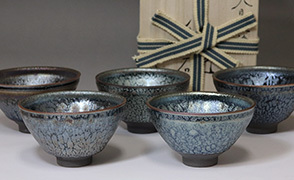 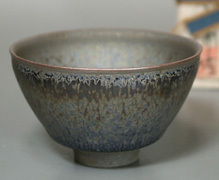 Please note that the color of these beautiful items is very difficult to represent in photos as the glaze reflects the light and can look quite different according to the angle and the computer color setting.